Need an impressive dessert for your end-of-summer soiree? 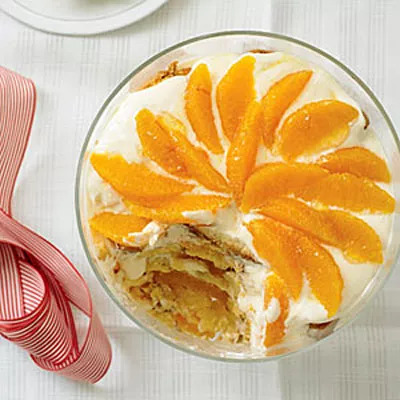 Consider this recipe for Orange Trifle With Grand Marnier Cream. Although the dish contains whipping cream and pound cake, you can easily slim it down by substituting low-fat whipped topping and angel food cake. Mascarpone cheese, marmalade, and oranges give this dessert a creamy texture and sweet taste, making it the perfect treat--light and fresh--for your next barbecue or picnic.